Scovill Fasteners, founded in 1802, is one of the world’s largest manufacturers of a diverse range of Apparel and light Industrial fasteners that meet the demands of many applications requiring quality and durability. From product design and delivery to application, products offered include high-performance buttons, zippers, snap fasteners, grommets and washers as well as attaching machine equipment and expert technical support. In addition, Scovill offers custom metal stamping for various markets requiring metal components for finished products. When you work with Scovill Fasteners, you’re not just buying a product, you’re gaining a full range of service and support in a collaborative relationship from which all great designs are made. Our company focus on continuous improvement and operational efficiency has helped us become recognized as a reputable and reliable supplier. 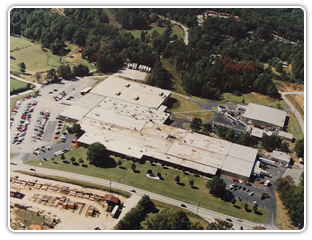 From our global headquarters in Clarkesville, Georgia, USA, our technicians and designers help create and select the most appropriate fasteners and equipment for our customers’ needs. Our flexible decision-making process, dedicated account-based customer service team and efficient ordering processes make doing business with Scovill easy. Our sales team, technicians and service specialists are located around the world to support customers throughout the Americas, Asia-Pacific, Europe and everywhere in between. Scovill Fasteners became a member of the Morito Group in 2014. To learn more about the Morito Group and their other subsidiaries, please visit the Morito web site.